COMPANIES HAVE LONG EMPHASIZED TOUCHPOINTS—the many critical moments when customers interact with the organization and its offerings on their way to purchase and after. But the narrow focus on maximizing satisfaction at those moments can create a distorted picture, suggesting that customers are happier with the company than they actually are. 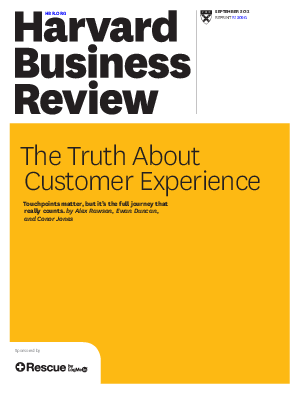 It also diverts attention from the bigger—and more important—picture the customer’s end-to-end journey. This paper explores the problem further and discusses how implementing a service and support solution like LogMeIn Rescue could enhance the customer experience - donwload now to find out more.